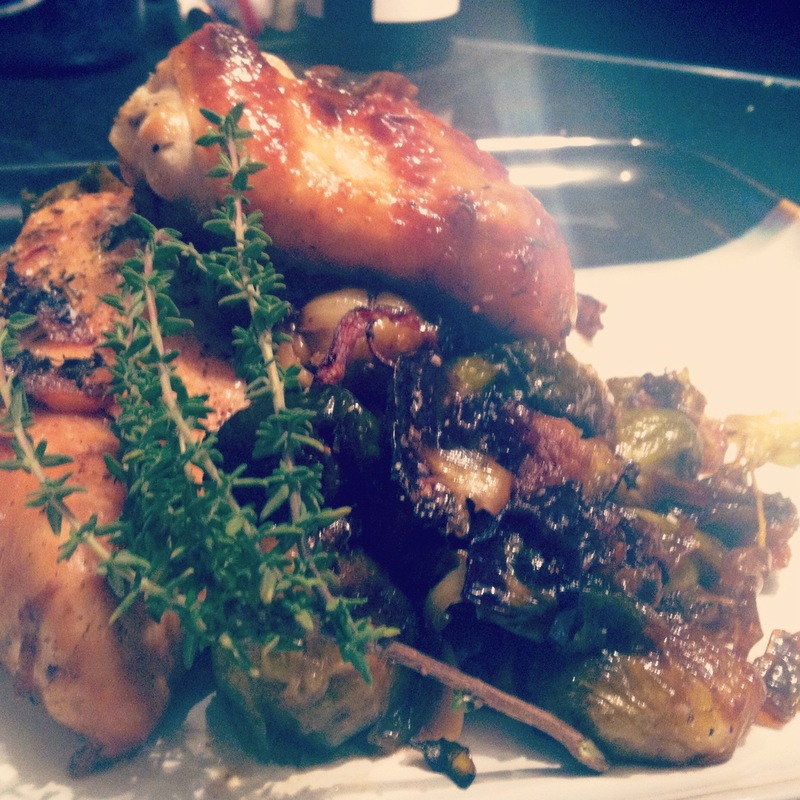 you’ll notice that this recipe is for brussels sprouts with roasted chicken on the side. that’s because, no matter how hard i try, i can’t manage to get these sprouts to step out of the spotlight. so, i give up. you can be the star, little sprouts. try adding a little crunch with toasted pumpkin seeds or walnuts. rinse the brussels sprouts and chop the stems off of each one. then cut them in half (this makes the inside really crispy). 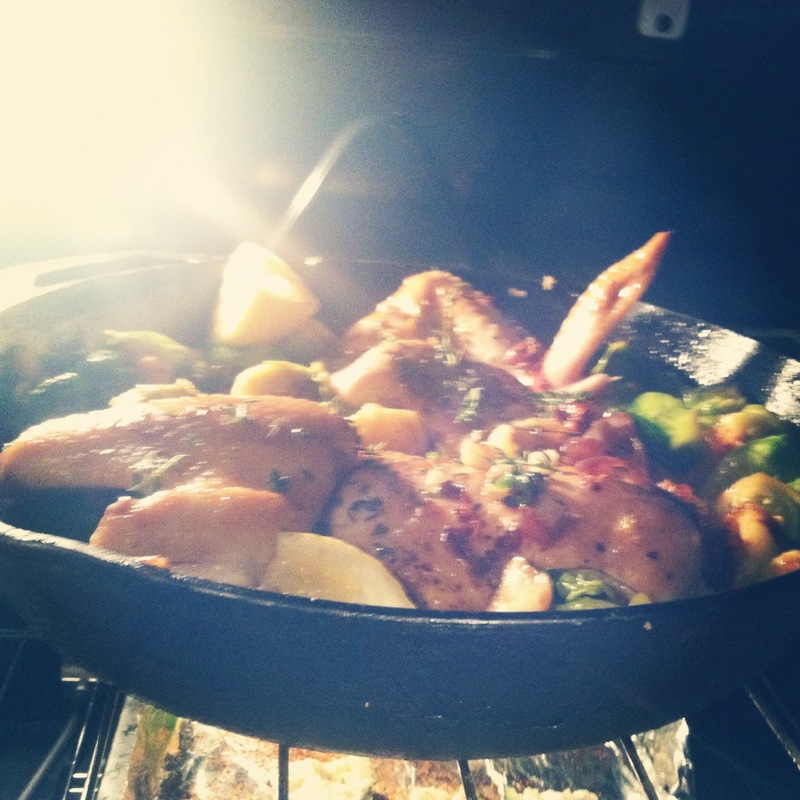 in a heavy cast iron skillet, heat 2 tbs of olive oil and add the sliced red onion. let these swim around for about 3 minutes, then add the garlic. 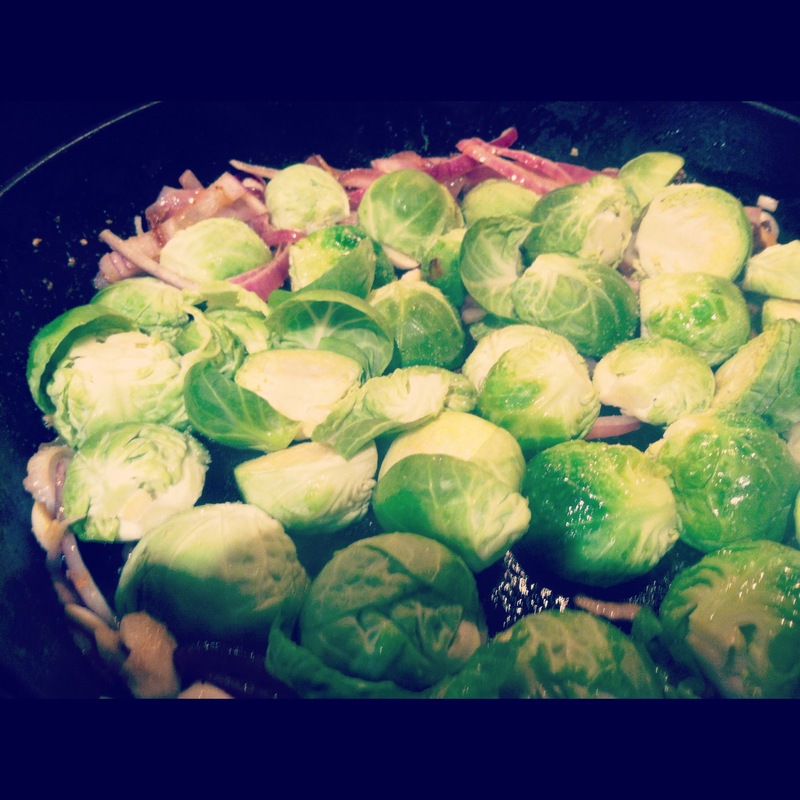 scoot the onions and garlic to the edges of the skillet and add your brussels sprouts. try to get them face down so that the flat side gets good and brown. then- don’t touch them! about 1/2 a glass of wine or bourbon later, give your sprouts a good stir, season with s&p, and drizzle the balsamic and maple syrup over the whole thing. be sure to use a good maple syrup, of course. 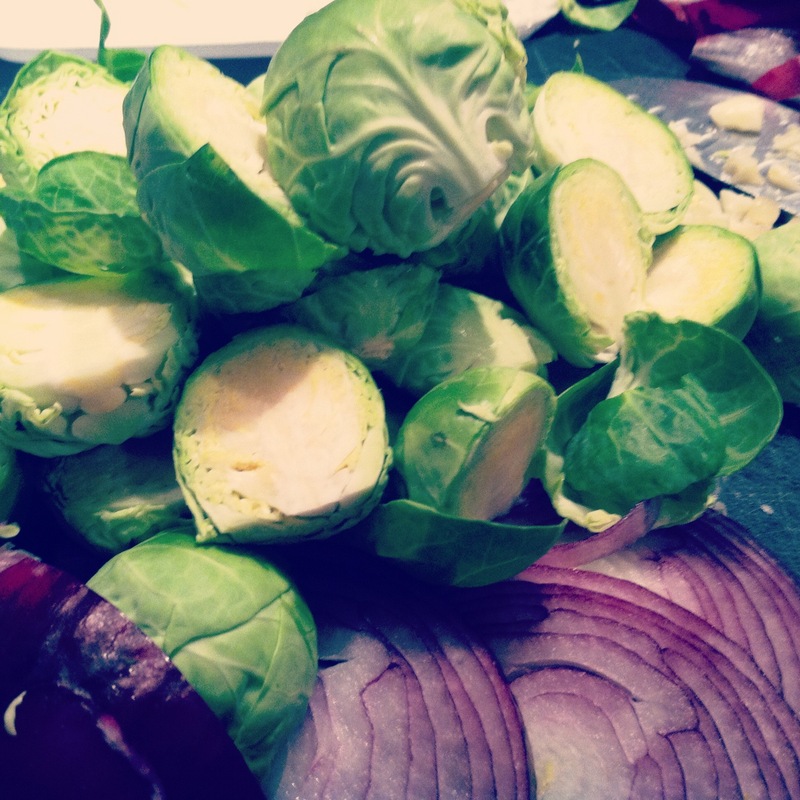 brussell sprouts are like little sponges, so if you roast them with good ingredients, they’ll really shine. 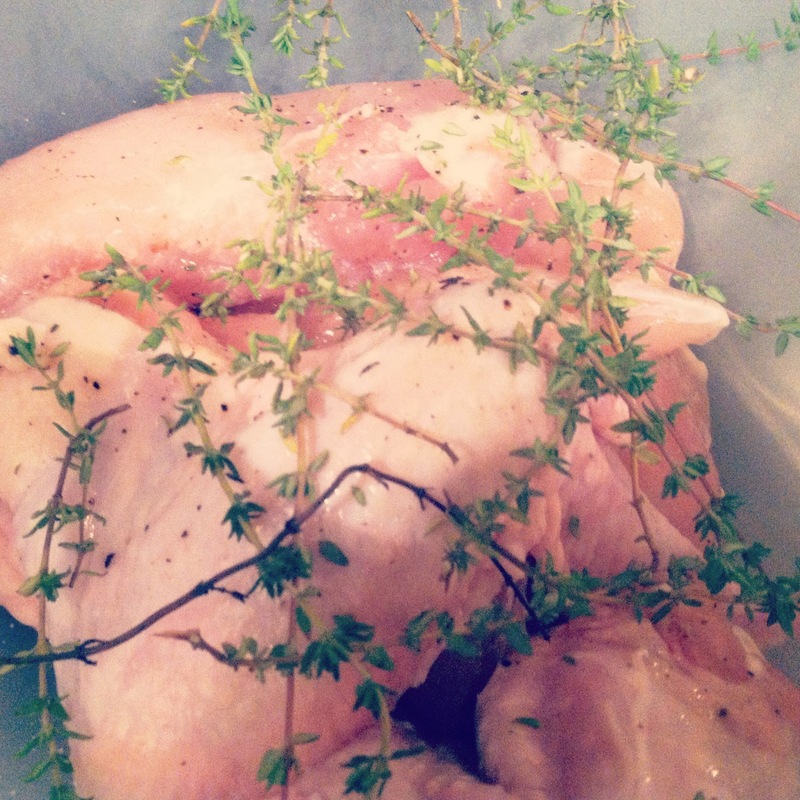 If you’d like to, season a couple chicken breasts (we did wings & breasts) with salt, pepper & thyme. Add them to the brussels sprouts, skin side down, and let them sizzle for about 5 minutes. then, pop these babies into the hot oven and let them roast for approx 20 minutes or 1/3 of an episode of The Wire. Easy enough? Absolutely. Leftovers? Not in a million years.